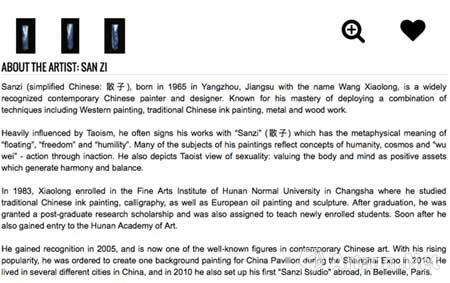 The white and blue porcelain works from Mr.Sanzi are released on the famous art website Artsier! Recently, Mr.sanzi’s white and blue porcelain works are released on the famous art website Artsper from France. Artsper was founded at 2013,it is aimed at closing the collectors and artworks. Artsper becomes one of the most popular art website in only 2 years. There is a selection committee at the backstage of the website, which has many elites include the famouse artwork collector Steve Rosenblum and the former minister of department of culture and communication of France etc. They only choose the best artists such as Andy Warhol and Jeff Koons and their magnum opus. Because of the special art and culture valuable of Mr. Sanzi’s works and his increasing influence at Europe, his works are released on the Artsper as expected. European art fans can enjoy and buy his white and blue porcelain works on the Artsper now. It is also a breakthrough of Mr. Sanzi that he move his work from 2D(canvas) to 3D(porcelain) space. After several years’ studies and tests, Mr.Sanzi finally creates a series of beautiful white and blue porcelain works. 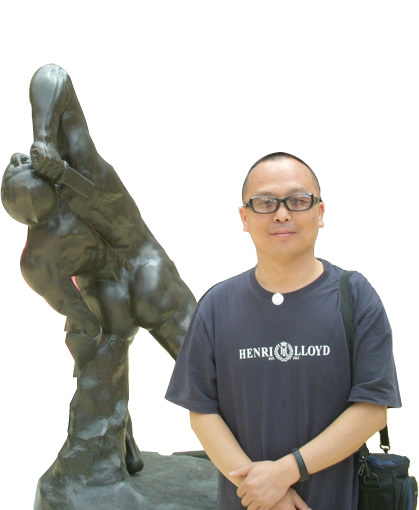 A special exhibition about his porcelain works was held at Lance museum in France in May 2014. After the special exhibition, there was also a travelling exhition in several countries of Europe. During the travelling exhibition, a thievery about one of Mr.Sanzi’s work happened maybe because his works are too popular. Fortunately，it did not cause a too bad influence on account of Mr.Sanzi’s kindness.